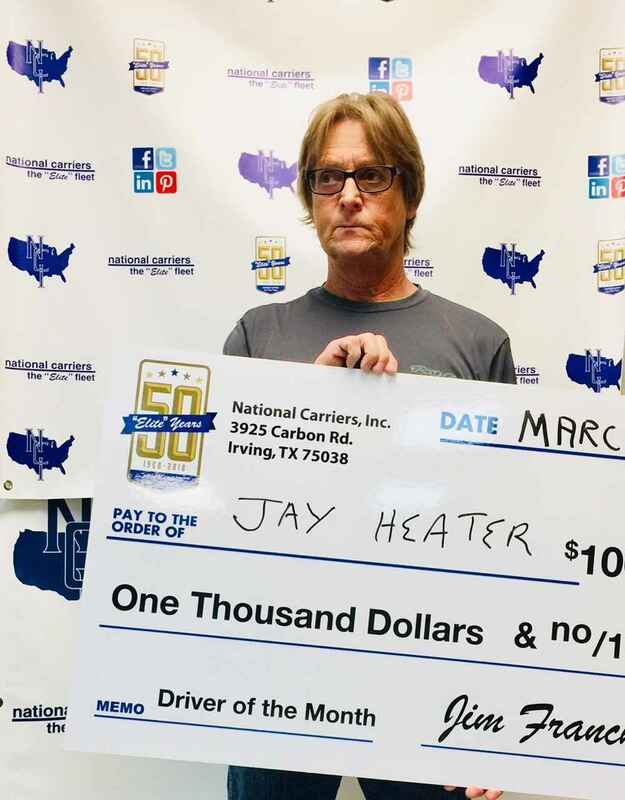 Former offshore drilling rig operator and retired Merchant Marine Captain, Jay Heater, has added another accolade to his long list of accomplishments. 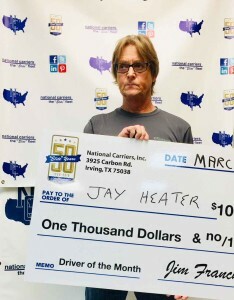 National Carriers has named him Driver of the Month for March 2018. 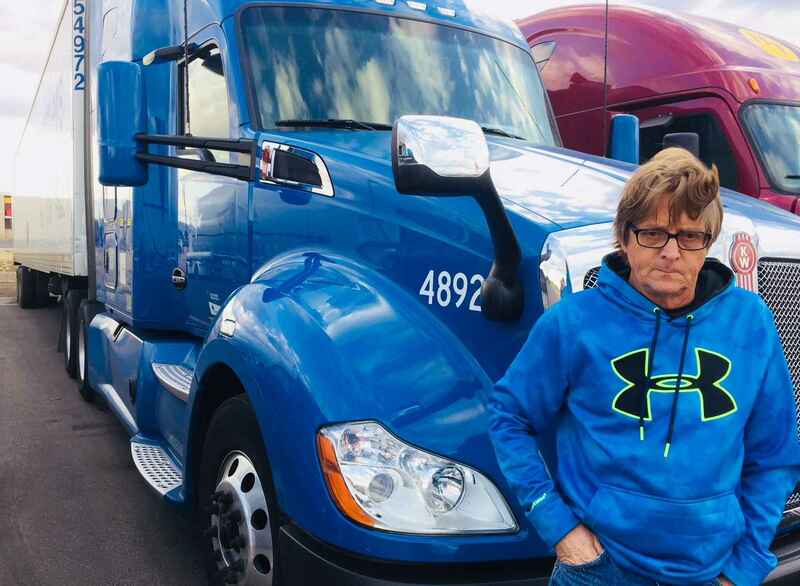 Heater makes his home in Florida and operates a company truck on the NCI 48 State fleet. 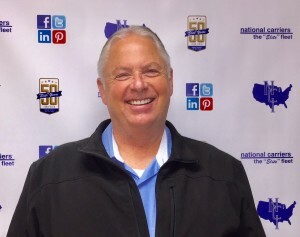 ” I saw a very positive online review of National Carriers so I gave them a call. 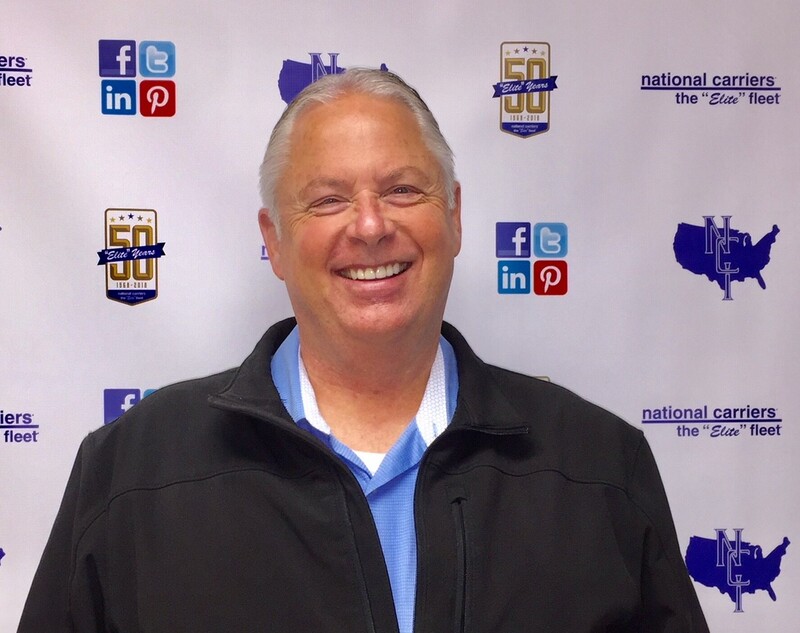 Director of Recruiting, Rick Ham, spent over an hour with me discussing exactly what I could expect if I joined the “Elite” Fleet. I appreciate the time he spent with me and everything he said would happen, has happened, “Heater shared. Heater gives additional credit to Director of Operations, Lex Mendenhall. He feels he can go to Mendenhall with any questions or concerns he may have. National Carriers dispatches his truck allowing Heater to run the miles and receive the home time he needs to be successful.